New book, 417 pages. D-Day, 6 June 1944, the turning point of the Second World War, was a victory of arms. 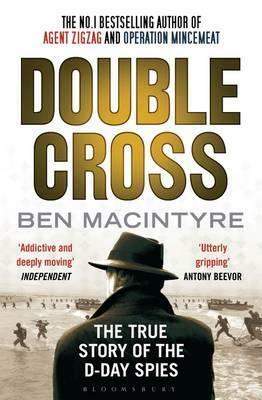 But it was also a triumph for a different kind of operation: one of deceit...At the heart of the deception was the 'Double Cross System', a team of double agents whose bravery, treachery, greed and inspiration succeeded in convincing the Nazis that Calais and Norway, not Normandy, were the targets of the 150,000-strong Allied invasion force. These were not conventional warriors, but their masterpiece of deceit saved thousands of lives. Their codenames were Bronx, Brutus, Treasure, Tricycle and Garbo. This is their story. This item was added to our catalog on Thursday 30 July, 2015.